If that was true, destiny was out to torture her. Destiny didn’t always hold up its end of the deal, and love didn’t always overcome. They were perfect — in every way but one. He was a human. HOLY SHIFTING FOXES!! What a phenomenal story and a half!! WOW! I LOVE IT!! I was Lured in by the Fox from book 1, so I am BEYOND excited about Ella getting her very own Happy Furry Tail but NEVER did I expect this fantabulous of a story!! Jake is The Perfect Mate! *dreamy sigh* I love, Love, LOVE just how much story there is! And how it not only gives Ella & Jake their moments to shine, but how it also gives this gem of a series its Furever After Ending! 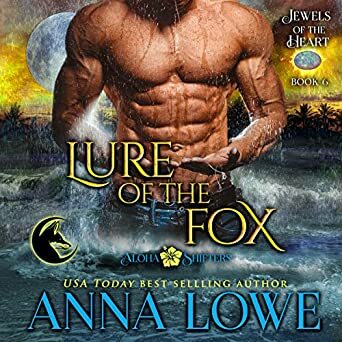 Anna has absolutely nailed one of my very favorite parts of Shifter stories by giving Ella's Fox its own personality, I mean foxality!! I'm only about 18% in and already Fox has me giggling, laughing, crying, gasping and COMPLETELY loving her!!! Ella is pretty awesome too! wink And now that I have finished the book, I have to say that HOLY FOX!! Anna COMPLETELY blew me away with just how REAL it all felt! Shifting back and forth, feeling it, was all just WOW! I honestly can say that I cannot ever remember reading - pardon me, experiencing that side of it, in that way, to that depth & extent in a really long time, if EVER!!! And since I mostly read paranormal books (minimum of 200 books a year! ), that is saying a LOT!! Of course I want to say more, but I am NOT going to spoil any little bit of this fantabulous story and series!! With her enriched descriptions, enhanced storytelling, complex characters and in-depth plots, storylines & world building, Anna brings every aspect of the story to life all around me, to the point that I could see, feel, hear, touch everything with and as the characters!! I am wholly, utterly and COMPLETELY consumed - mind, body, heart & stone! "I am voluntarily reviewing a book gifted to me by the author with no obligation." This is the last book in the series and boy does it deliver. Happy Easter Monday, for reading I say!!!! So sorry to see this particular series finish WELL DONE ANNA!!!! At last Ella Kit, the fox shifter has her own story! Ella met her Mate years ago, but she walked away from him because she feared the mating bit would kill her human mate. She watched her mother's mate die slowly and is determined not to subject Jake; her mate to this. But fate has other plans for them. The bad guys are after Jake this time because of something that happened in his last deployment. Jake gets the last and 6th Spirit Stone--the one that made all the other five Spirit Stones and as with the other 5 Spirit Stones it helps Jake and Ella when it is needed. It also helps Jake with the mating bite so that he survives. 5.0 out of 5 starsAnother great story in this series that finally gives us Ella’s story. Another great story in this series that finally gives us Ella’s story. 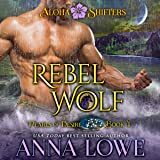 The fact her mate is a fellow soldier from the days the shifters of Koa Point served in the forces is a lovely twist. Ella has been a part of this series since book one though we have never met her. She is one of the boys and a respected member of their elite forces team. Jake was also in the military and knows all the guys from Koa Point but does not know about shifters. 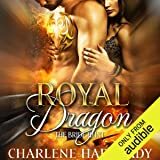 Loved the way this story unfolded with interesting things happening and at the same time we learn more about the childhood past of Ella, Boone and Hunter. Loved how the Keystone come into Jakes possession and how he found it. It will be really interesting to see what happens if the stones need to be used against Moira. Ella and Jake dance around each other for ages before they start to see they are meant to be. It takes a serious incident for Ella to see they are meant to be together. So sad about what happened to Ella’s mum and Brian, no wonder she was running afraid of mating Jake. The baddie Goode was unique and I am very happy with what happened to him. The ending with everyone at Koa Point together for Cassandra and Silas’ wedding was so heart-warming and sweet. Loved having memories of our holiday in Hawaii refreshed. At last it is the turn of Ella Kit, the fox shifter who helped Tessa get to Maui in Book 1 of this series. Ella met her Mate years ago, but she walked away from him because the mating bit kills human males. Ella watched her mother's mat die slowly and painfully and is determined not to subject Jake; her Seal buddy and her mate to this. But fate has other plans for them. The bad guys are after Jake this time because of something that happened in his last deployment. Jake gets THE Spirit Stone--the one that made all the other five Spirit Stones and it helps Jake and Ella to defeat the bad guys. It also helps Jake make it through the mating bite so that he survives. And one of the bad guys is a different type of shifter. I was given an Advanced copy of this book and am freely and voluntarily writing this review.